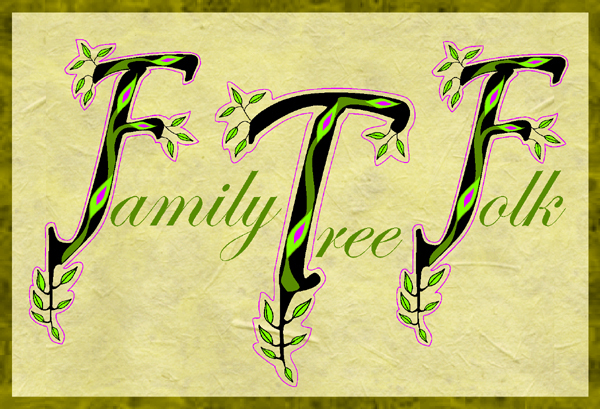 Family Tree Folk started out in 2006 to bring life into genealogy. We are a family run business that should appeal to the many genealogists out there who enjoy seeing the funny side. Those who relish the toughest brick wall, those who whoop with delight when they find a skeleton lurking in the family closet and those who see family history with as much passion as we do. We have been researching our own family history for over 18 years and have become involved in our local family history society, transcribing, researching for others and helping those who are just starting out. But is there something missing? Finding a gift for a family history enthusiast that can take their mind off their latest challenge for a minute is a tall order! Anyone married to a serious genealogist can vouch for this. Family Tree Folk have developed a range of affordable, high quality gifts and greeting cards for genealogists to give to each other and for our long-suffering friends or relatives to solve their present problems. All are designed to bring a smile or strike a chord with like-minded addicts. We are also the leading supplier of magnifiers for the genealogist in the UK along with an ever growing range of archival storage and preservation products and acid free materials for safely compiling your valuable research. Our range of products will continue to grow as the ‘folk’ behind them work on new ideas. Mike has been involved with family history since 1999 and has pursued this hobby enthusiastically when any spare time allowed from his previous senior roles as European Training Manager and National Sales Manager for two leading companies. An active member of Pontefract & District FHS and now devoting his experience and his creativity to family history and Family Tree Folk. Mike is behind the creative designs in our ever expanding gift range and for all aspects of our buying, production and sales processes. He is also available for individual family historyresearch commissions.